All records shown belong to my private record collection. I want to thank david neale for all the information about the records. I,m just an elvis record collector but david knows everything about the background of the records. Also thanks to henk muller ( the colonel ) for additional information. the music from the originals is recorded from my own records. 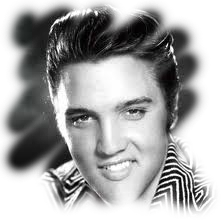 Information about the first original versions of numbers recorded by Elvis Presley. It does not include numbers that Elvis recorded first.